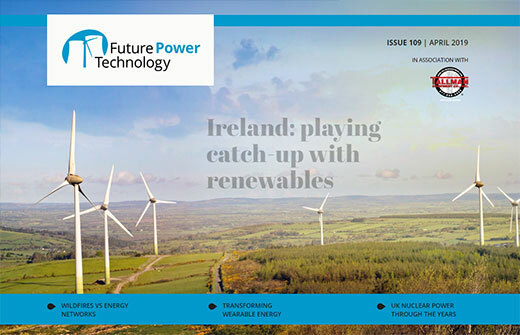 In this issue: Ireland’s plan to catch-up on emissions reductions, solar power in Africa, miniaturised solar cells in clothes, the rise and fall of UK nuclear power, and more. 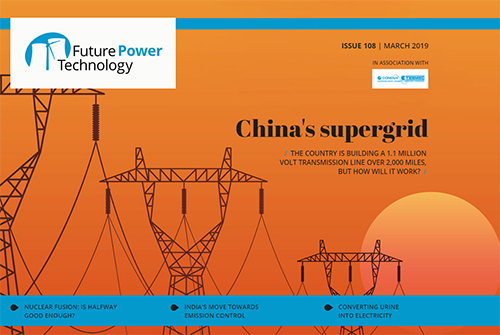 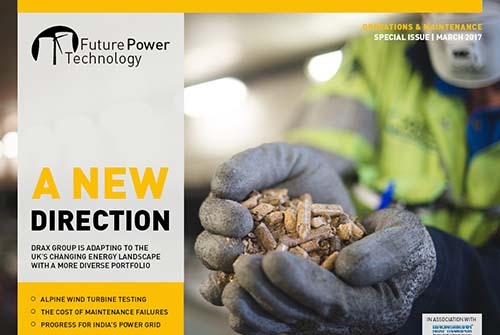 In this issue: India’s plans to co-fire all coal-based power plants with biomass, the future of fusion nuclear energy, a new energy storage tower, China’s mega transmission line project, and more. 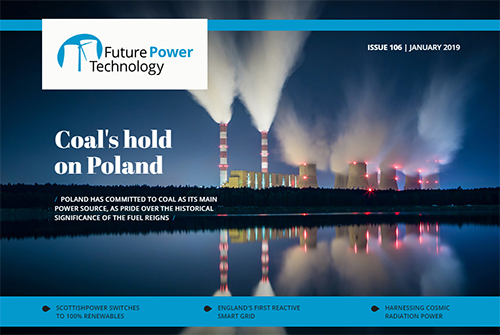 In this issue: The debate over fracking in the UK, ScottishPower’s commitment to 100% renewable energy, England’s first grid-scale smart network, Poland’s reliance on coal, and more. 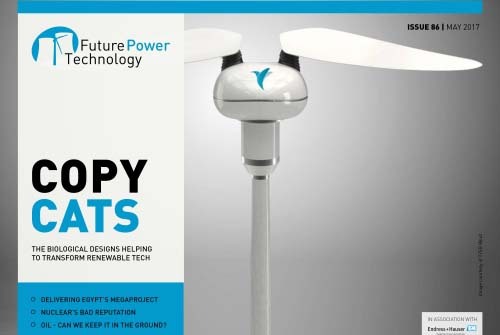 In this issue: We round up the biggest stories of 2018, take a look at projects leading the way in renewable energies, predict the major trends to look for in the coming year, and more. 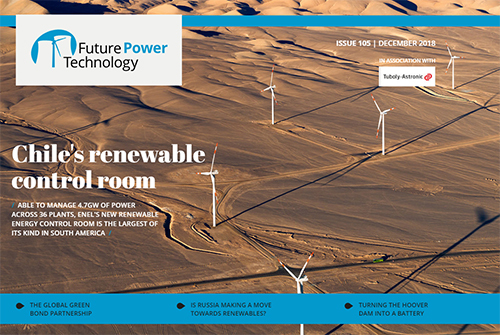 In this issue: The new Global Green Bond Partnership, Russia’s move to adopt renewables, turning the Hoover Dam into a battery, the issue of recycling solar panels, Enel’s energy control room, and more. 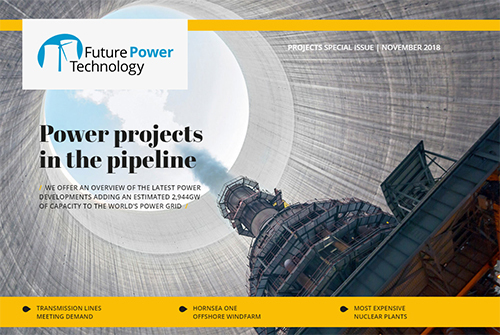 In this issue: This special issue focuses on power projects around the world, the top 20 renewable projects, under construction, the state of coal, gas and nuclear plants around the world, and more. 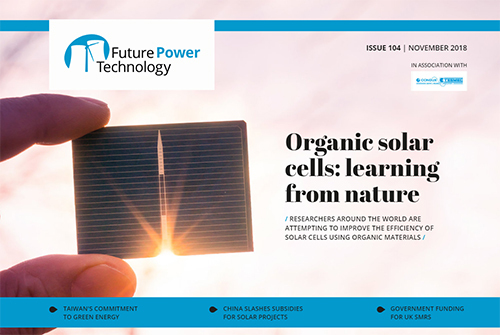 In this issue: Taiwan’s switch to renewables, China’s decision to slash solar subsidies, the development of a new generation of organic solar cells, a new superfast electric vehicle charger, and more. 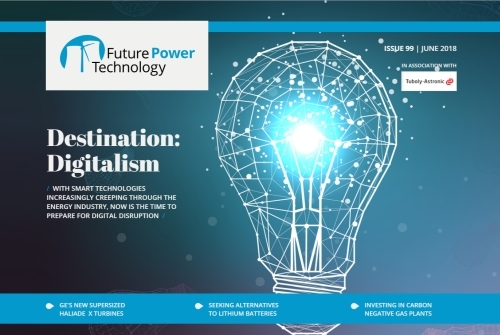 The impact of blockchain on Europe’s distribution network operators, a mobile app saving customers money, experts weigh in on the future of nuclear power in the UK, and more. 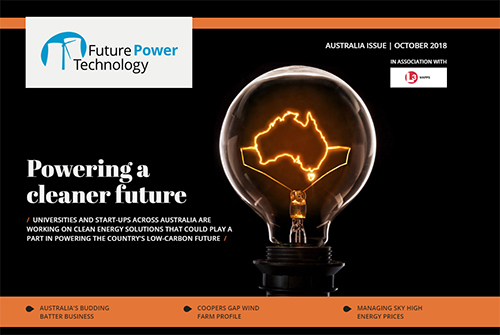 An insight into the Australian Government’s National Energy Guarantee, the latest power projects kicking off across the country, Coopers Gap windfarm profile, and more. 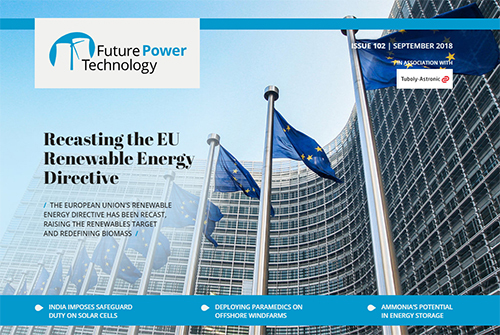 Recasting the EU Renewable Energy Directive, promising renewable projects in Africa, the world’s biggest solar power plants, risks faced by paramedics on offshore windfarms, and more. 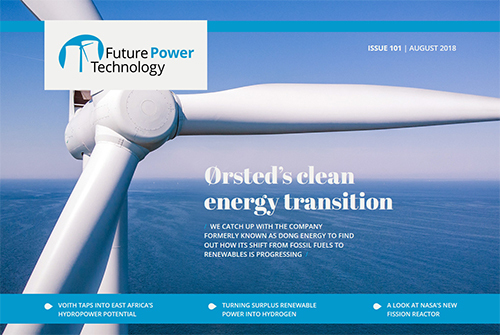 Ørsted’s first year in renewables, Voith’s move into East African hydropower, London’s push for solar power investment, GE’s greener transmission gas, NASA’s fission reactor, and more. 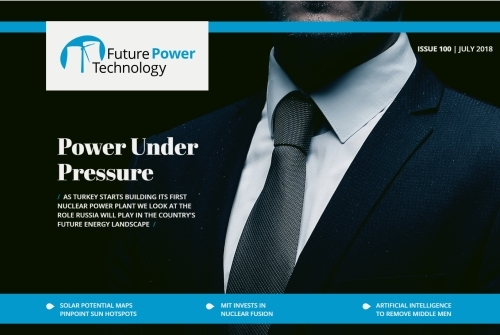 Russian influence on Turkey’s energy landscape, solar potential maps, investing in nuclear fusion, AI eradicating third-party intermediaries, net metering for solar, and more. 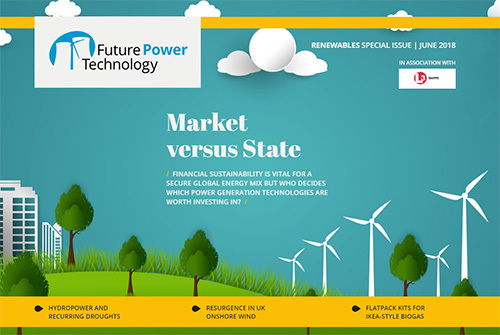 Free market vs state control for energy stability, drought’s effect on hydro, flatpack biogas, smart meters, onshore wind, solar projects and more. 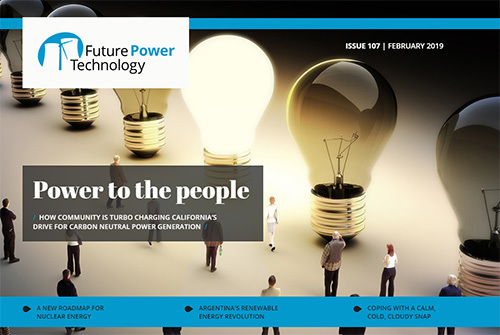 ABB’s remote digital operations centre, alternatives to lithium in batteries, smart grids, blockchain, GE’s new supersized tubine, US investments in renewables, cleaner gas power, and more. 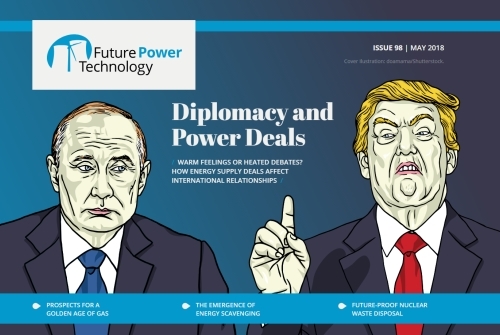 Examining energy politics, the golden age of gas, France’s nuclear health, the UK’s T-4 energy auction, energy scavenging technology, the global solar boom, and more. 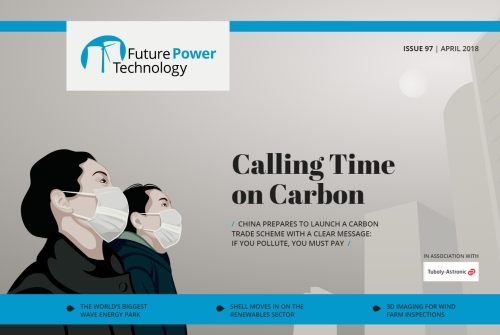 China’s carbon trading, investing in Indian solar, Bali’s big wave energy, Shell moves into renewables, 3D tech for wind farms, flexible electricity models, and more. 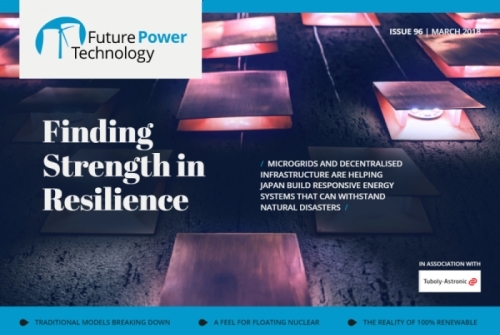 Japanese microgrids build energy resilience, offshore nuclear, evolving power supply models, urban energy, India’s potential for 100% renewable, nuclear energy in South Korea, and more. 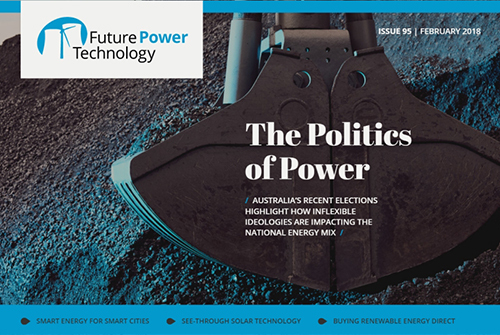 Politicising coal in Australia, see-through solar, smart energy for smart cities, Hywind floating wind farm, PPAs to support renewable sales, a new start for tokamak, and more. 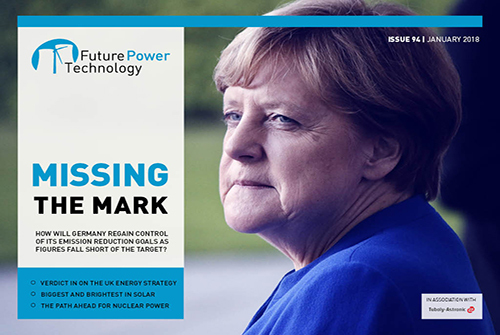 Germany’s clean energy targets, the future for nuclear, UK energy strategy, the brightest solar projects, automating utility switching, electricity data sharing, and more. 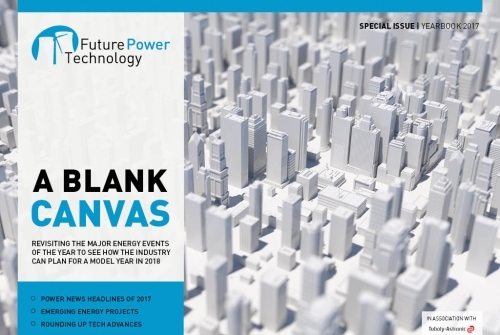 The past year’s biggest energy stories, major projects, emerging technologies, the outlook for 2018, and more. 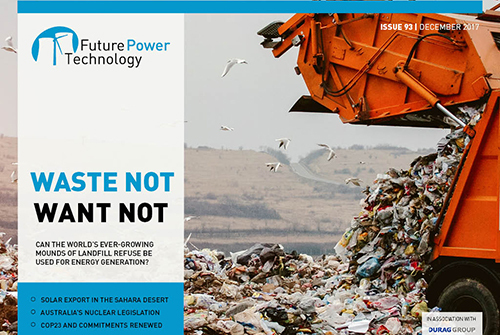 Energising landfill waste, solar in the Sahara, COP23 and the cost of renewables, Australian nuclear, insect eyes inspiring tech, future energy leaders, and more. 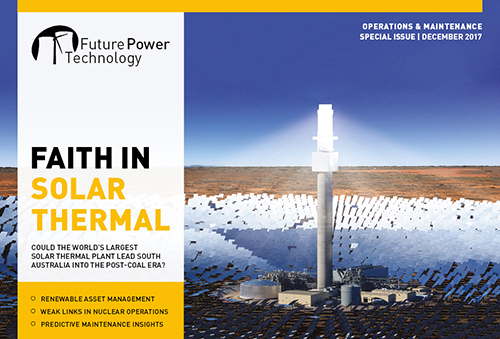 Solar thermal for South Australia, maintaining small components in nuclear plants, how acoustic signatures can help improve predictive maintenance, how US operators are dealing with the fallout from hurricane season, and more. 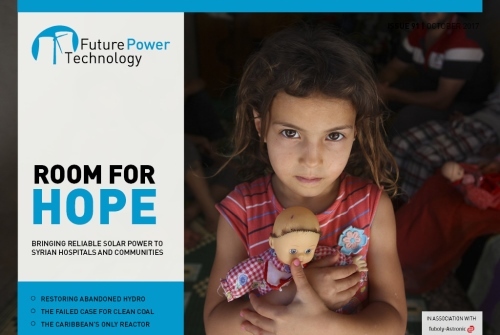 Solar power for Syria, restoring abandoned hydropower in Tajikistan, the failure of clean coal, Caribbean nuclear, UK tidal, wireless power transference, and more. 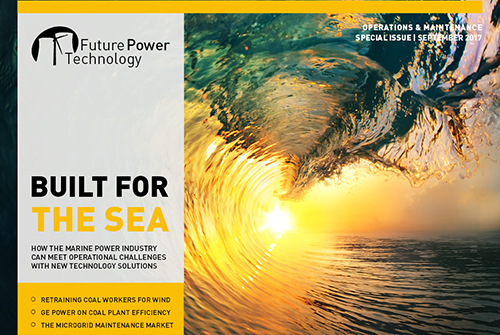 Meeting marine operations & maintenance challenges, solar storage testing in Texas, GE Power on improving efficiency in coal generation, opportunities in smart grid maintenance, and more. 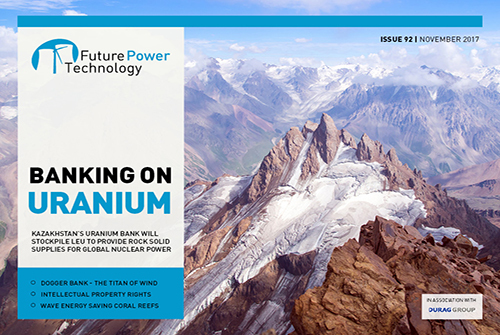 The power of industrial beauty, trouble for Toshiba nuclear, a seawater-freshwater hybrid, US states stand up for climate action, blockchain utility switching, new CCS material, and more. 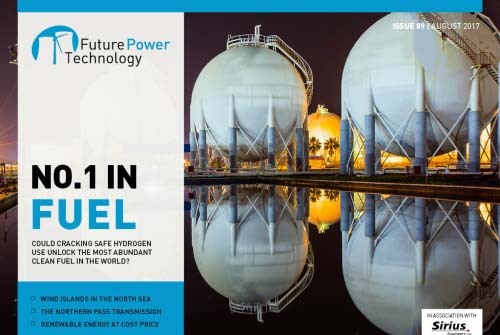 Hydrogen as low-carbon fuel, offshore wind islands, the Northern Pass project, air batteries, renewable energy at cost price, French nuclear, and more. 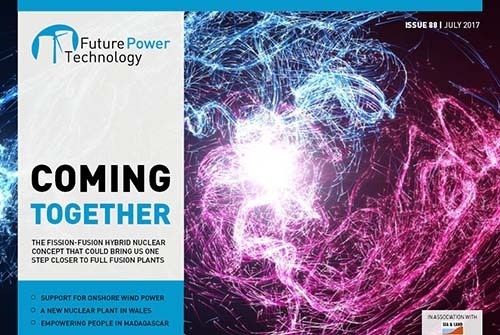 A fusion-fission hybrid, Wales’s new nuclear, powering Madagascar, predicting blackouts, blockchains for smartgrids, onshore wind investments, and more. 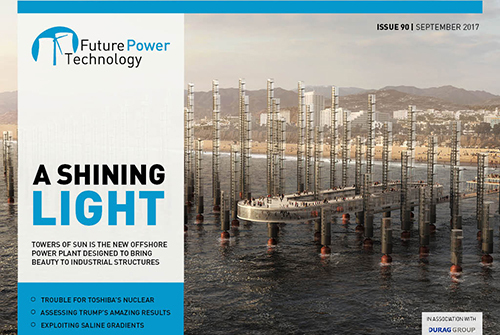 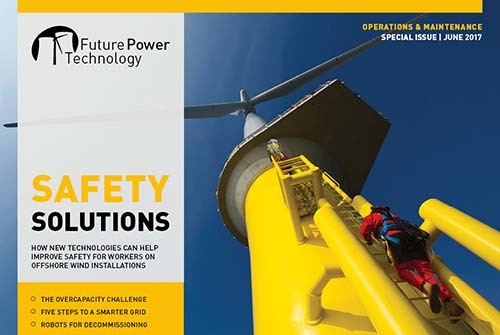 Renewables and the challenge of overcapacity, tech solutions for improving offshore wind safety, South Australia’s energy woes, a five-step guide to a smarter grid, addressing cyber security in energy networks, robotics for nuclear decommissioning and more. 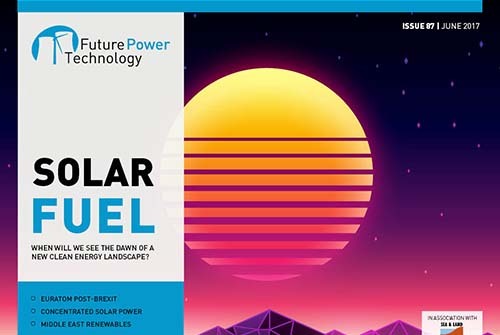 In pursuit of solar fuels, concentrated solar power, the Middle East renewable potential, Euratom post-Brexit, falling UK electricity demand, gamification for energy management, and more. 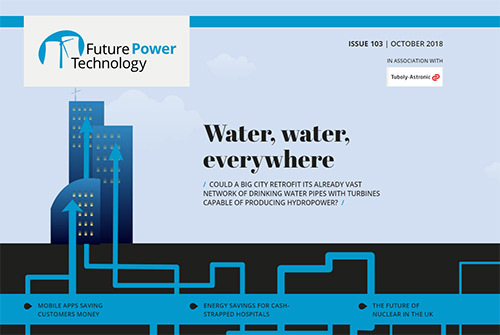 Biomimicry in renewables, Siemens’ mega project in Egypt, the UK’s industrial strategy, nu SMRs, public perceptions of nuclear, offshore platforms to power stations, and more. 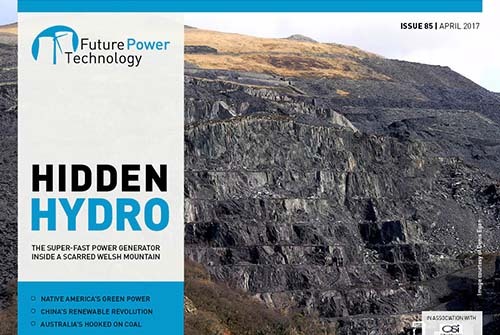 Wales’s rapid-response hydro, Native American power, China’s renewable revolution, the tidal lagoon proof of concept, Australia pursues clean coal, consumer thoughts on smart grids, and more. 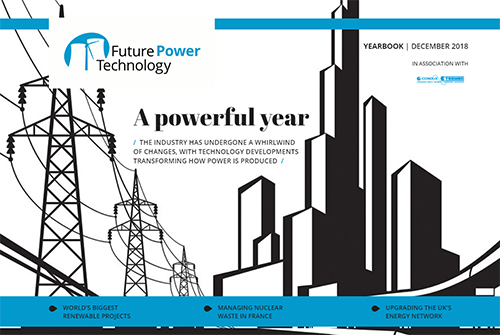 Drax Group in the post-coal future, wind turbine testing in mountainous territory, the cost of maintenance failures, damage sensor for power poles, improving grid access in India, open data for electricity infrastructure improvements, and more. 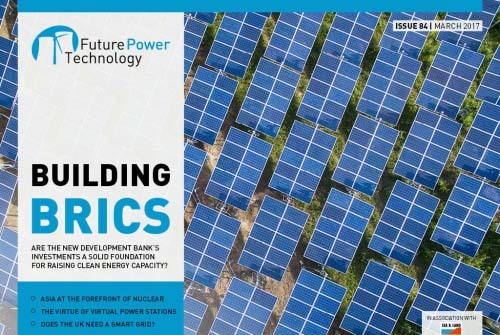 Assessing the New Development Bank’s renewable funding in BRICS, mapping Asia’s nuclear power progress, solar investment models, building a UK smart grid, hyper-growth of electric cars, the benefits of virtual power plants, and more. 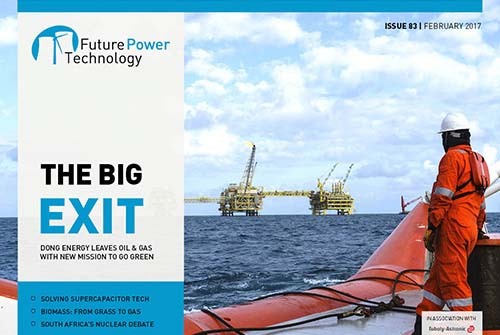 DONG Energy quits oil & gas business, Ecotricity’s attempts to crack biomass, South Africa’s nuclear debate, a polymer that could solve supercapacitor tech, the UK’s 2025 deadline on coal, cheap offshore wind, and more. 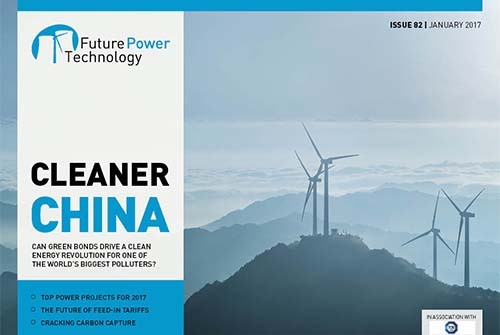 Top projects for 2017, China’s green bonds boost clean energy, the future of feed-in-tariffs, Japan’s failed fast breeder reactor experiment, a potential breakthrough in carbon capture, and more.